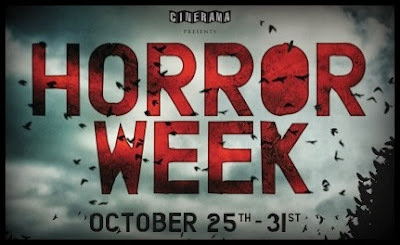 As if the Cinerama wasn't awesome enough, they are now presenting their first ever Horror Week which will include some of the scariest movies and most iconic scream queens of all time! 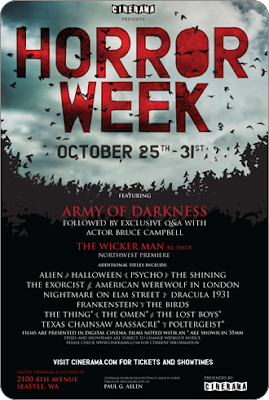 From Friday October 25th all the way through Halloween night, an Army of Darkness will be Shining like an evil Omen on Elm Street with Poltergeists, Birds, Aliens, an Exorcist, things, and even a vampire or two thrown in for good measure. You'd have to be Psycho not to head on down to the Cinerama for this massive monster movie phenomenon. Those who dare to enter this iconic house of horrors on opening night will be treated to a guest appearance by the one and only Bruce Campbell as he discusses Army of Darkness right before it plays on the big screen. Special VIP tickets are available for this event but they will go fast so head on over to the Cinerama website to get yours now! While there, you can also purchase tickets to any of the horror movie screenings listed below. Are you brave enough to see them all?! 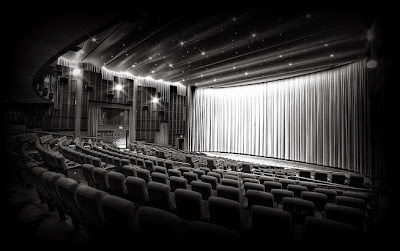 TwoOhSix.com is giving away tickets to select festival screenings. CLICK HERE for details on how you can enter to win! All times and shows are subject to change. Fore more information, please visit the official Cinerama website.